There was a very special fedora at this week's Game Developers Conference. It was placed on the heads of numerous top game creators, such as PopCap Games co-founder John Vechey (left) and Metal Gear mastermind Hideo Kojima (right). This one hat capped some other great craniums as well. To see them all, check out the fedora's very own Tumblr, which was created by Microsoft's Adam Orth. 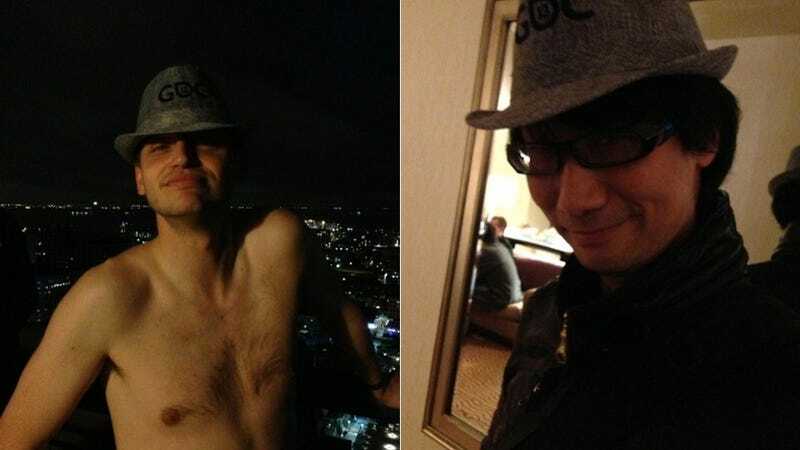 GameDevs + Fedoras = ? This is what happens when you have plenty of game development talent and a ridiculous piece of swag.